The basis of your medical care rests on a comprehensive yearly physical examination. This allows your physician to establish a complete database on your health and to create a sensible plan for your future. At Virginia Beach Premier Medical, we provide the highest quality evaluation available beginning with a complete medical history followed by a comprehensive physical examination focusing on finding illnesses early and potentially preventing more serious diseases. We like to call these our Premier Comprehensive Medical Evaluations. They are comparable to what many people call Executive or VIP Physicals. One of the best ways that you can personally prepare for your initial or annual comprehensive health evaluation is by completing our annual health assessment questionnaire. This will help jog your memory about problems you may be having or have had in the past that you may not think about during the visit with your doctor. It will also provide your physician with a full history of your current and past symptoms that will serve as a basis for your examination. The complete examination is followed by a complete battery of tests designed and individualized for each patient based on the history and physical findings. This is not just a list of tests that everybody gets. The tests ordered are designed for your specific situation to provide the best information possible about your health status. This will provide you with the most benefit in detection and prevention of illness. For example, laboratory studies may include specific cancer markers based on your genetic history. Certain vascular studies may be indicated to evaluate circulatory status if your risk factors point in that direction. A number of screening studies may be done to look for carotid artery narrowing, aortic aneurysms, peripheral arterial disease, mesenteric artery or renal artery narrowing. Electrocardiograms and audiometry screening studies are included. Other state-of-the-art testing such as Cardiac CT Angiograms and Carotid Intimal Thickening studies can evaluate your risk for coronary disease and stroke. A complete cancer and vascular risk profile can be created along with specific recommendations for you to turn around the processes that may be adversely influencing your health. After your comprehensive physical and medical evaluation is completed, you will be provided the opportunity to sit down with your physician to discuss the results in detail. You will know what your problems are, if any, and you will know what can be done about them. Definitive plans will be designed specifically for you to follow that will provide you with the information you need to improve your overall health and to help prevent the diseases that plagued your ancestors. Consultation with a nutritionist in our office can be arranged to help correct or improve your diet, again specifically designed for you, not just a standard diet off the shelf. Your physician will then provide the follow up you need to help bring your health goals to fruition and to help maintain your focus on good health for the future. This is what good health care is all about - partnering with your physician, who can help guide you through the maze to clearly show you a complete and realistic picture of your current health status and what can be done to improve it. Some offices provide only an "executive" physical and that's it. You're on your own after that. That's okay as far as it goes and it may give you a snapshot of your health at that particular moment, but we believe that follow up and continuity by the physician who did the examination and who knows your history is just as much a necessary part of your care as the physical. Through concierge internal medicine, this type of care can be provided to people of all ages (over 17), and all walks of life - from corporate executives to Medicare beneficiaries. Insurance, or lack thereof, is not an issue. The fee is very affordable, costing about the same as what you spend on your cable bill every month. So, if you value your health, or if you value the health and future wellness of your employees, you should consider concierge medicine. It is indeed the wave of the future, the first bright spot in health care delivery for many years, and it will surely prove to be an excellent source of truly high quality medical care for the foreseeable future. Any blood or urine tests that you need can be obtained in our office, so you don't have to go wait in an outside lab for hours. 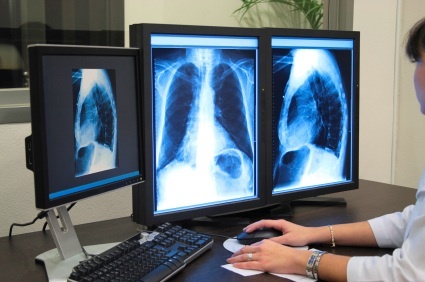 Xrays and ultrasound studies can be scheduled by our staff at your convenience. Please note that all studies recommended for screening purposes may not be covered by your insurance. We will let you know which studies are likely not to be covered. You should also be aware that medical examinations are never foolproof and cannot ever be guaranteed to protect you from any and all illnesses. However, the investment you make in your health today with this type of evaluation and continuity of care is much more likely to add years of quality time to your life than the alternative. From "Premier Physicals" to "HomePage"